GRATEFUL Author, Diana Butler Bass - FINALLY! magazine 55 plus Magazine, Generation X Magazine, Baby Boomer Magazine and Senior Citizens Magazine The Premier Magazine Just for Me! The Transformative Power of Giving Thanks. “Grateful”. Grateful. Diana Butler Bass gives us yet another book for which to be thankful. Being grateful, is more than being thankful. More than being mindful of the positive. More than minding your P’s and Q’s. Being grateful, is an attitude built upon depth. A practiced attitude. A learned attitude. An attitude that you must be conscious of to recognize those moments and to appreciate them; to be mindful of your being and your present state and your environment. The transformative power of giving thanks is possible and plausible. We have it within us to be happier, to gain joy, to appreciate and to be a positive influence on others, by being grateful by being thankful. Thankfully, we have found a book to share with you which speaks of thankfulness and guides us to gratefulness, and living everyday with gratefulness. The book has a tone as if a family member was passing along wisdom and family stories; no hippy-dippy, esoteric crap, just an honest encouragement and enlightenment of self. So often we criticize ourselves, land in a rut, feel stuck in mud, and can’t see the forest through the trees. Read this book. It will serve as a reminder and guide as how to appreciate and be grateful. There are many things around us, daily, that we never see. We have chosen not to see them. This author helps us to open our eyes and see what is there and to recognize what is there. Our gratefulness comes from the positive that surrounds us, but for some reason, we have become unaware of the good and only aware of the bad. Stop seeing only the bad. Start seeing the good. It exists within the bad. A person can find gratefulness and should indeed seek it out. There have been tests proving the health benefits of being grateful. Maybe if we all relearn to be thankful and grateful, like starting from the basic “thank you” said to they around us, and sending “thank you” notes and letters, we could begin to be a more positive society and stop spreading hate and inflammatory dialogue. 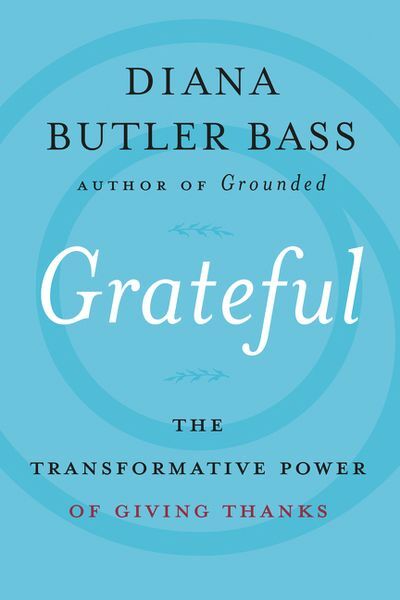 Recognize that you need to read this book, “Grateful” by Diana Butler Bass, published by Harper Collins.